The espresso is perhaps best known for its rich, invigorating taste and strong, delightful aroma. In fact, most ardent fans of this popular beverage are drawn to it because of pure delight of drinking it. Most don’t even realize its other amazing benefits. The espresso is rich in anti-oxidants. Anti-oxidants are chemicals which play an essential role in boosting the body’s immune system. This is because they counter the actions of free radicals — harmful toxins which can degrade the body’s immune system. As such, the high concentration of antioxidants can contribute towards bolstering the body’s immune system. The espresso is rich in also rich in caffeine. In fact, it has a higher concentration of caffeine than regular coffee. Caffeine is renowned for improving mental alertness. This is why it is popular among students and professionals who desire to maintain mental acuity for prolonged periods of time. Caffeine is merely a short-term solution to increased focus, so you can’t depend on it to last forever. Given its large concentration of caffeine, the espresso is the perfect cognitive booster. It can enable someone to feel alert, focused and mentally sharp. This makes them better able to concentrate and accomplish mental tasks. Caffeine is a natural stimulant. It has been proven to boost the body’s cardiovascular rate. This makes the heart to pump faster, and the cells to metabolize carbohydrates at a faster rate. The end result is that a person ends up feeling invigorated, energized and euphoric. This energy boost can come in handy for someone who desires to work-out or conducts a physically demanding activity. The stimulating properties of caffeine can have a positive impact on emotions. The feeling of euphoria can stimulate pheromones which lead a person to feel excited, relaxed and happy. This feeling is even heightened especially for those who truly enjoy a good coffee. The stimulating effect makes caffeine invaluable for fighting off depression, stress, and anxiety. This is precisely why it is often advisable to take a couple of shots especially on days when one is feeling a little moody. In April 2014, the Harvard School of Public Health published a study which linked coffee consumption to a reduced risk of diabetes. The study found that people who increased their consumption of coffee over a four year period reduced their chances of acquiring type 2 diabetes by 11%. The likelihood of acquiring diabetes was profound among those who increase their coffee consumption by more than one cup per day. The study also found that those who reduced their consumption (by one cup per day) increased their likelihood of acquiring type 2 diabetes by 17%. The researchers concluded that regularly drinking coffee can indeed reduce the risks of type 2 diabetes. Numerous studies have shown that coffee can reduce the risk of heart disease. One such study was carried out on 25,138 men and women at the Kangbuk Samsung Hospital in Seoul, South Korea. The study which was published in 2014 revealed that drinking three cups of coffee a day can significantly reduce the risk of heart disease. According to the study’s findings, coffee helps to unclog arteries, thereby reducing the risks of heart attacks. The researchers speculated that the antioxidants found in coffee could be central to promoting cardiovascular health. However, they recommended that further studies be conducted to find out the real mechanism. Research studies have shown that coffee can help in fighting many other diseases. Examples include cancer, liver disease, Alzheimer’s and Parkinson’s disease. Such studies have been published in reputable journals. For instance, in 2013, study, published in Clinical Gastroenterology and Hepatology revealed that drinking coffee can reduce the risk of developing liver cancer by up to 40%. A study published in 2015 by University of Texas researchers found coffee to play an effective role in fighting erectile dysfunctions. The study, which was published in journal PLOS ONE was based on data collected from 3,724 of 20 years and above between 2001 and 2004. Researchers tracked the men over a decade, comparing their consumption patterns with reports of erectile dysfunction. They found that those who regularly consume coffee between 85 and 170 milligrams of caffeine a day were 42% less likely to report erectile dysfunction. They concluded that coffee can be effective for fighting erectile dysfunction. 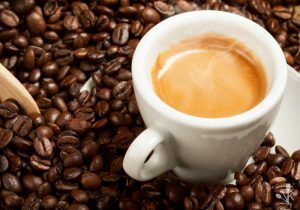 Many People aim to lose their weight and espresso is the best solution to that problem. Espresso is remarkably low in calories. It also helps you to lose weight. By the fact that fact that it aids your exercise performance by making workouts look less vigorous. To push yourself a bit harder in the gym, consuming a shot of espresso around an hour before your workout. Ultimately, even though none of the studies above mention espresso directly, they highlight the benefits of coffee. An espresso is coffee extraordinaire. Therefore, all the benefitsof drinking coffee apply to it. As such, if you are someone who truly enjoys the world-famous shot, just know that it offers much more than just pure delight! So Now, grab some coffee beans, get your grinder out, switch on your espresso machine and make yourself a cup of espresso and enjoy drinking.